Format: Paperback; ISBN: 0764552554; List Price: $19.99; Release Date: May 2000; Publisher: IDG Books Worldwide; Length: 356 pages (Illustrated). Condition: Very Good. Has significant shelfdust and a little outer wear. Cover is still in overall great shape, binding is strong, and pages are otherwise unmarked. Same cover design as that shown here. Bringing home a puppy? 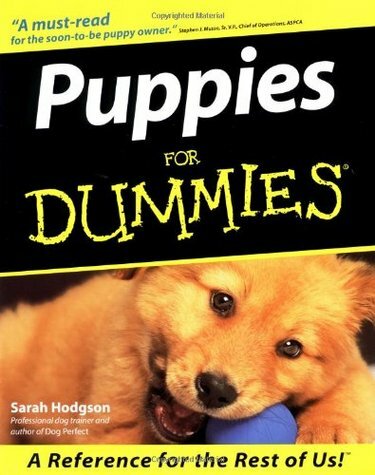 This fun, friendly guide to puppies prepares you for this tough but terrific time. Noted authority Sarah Hodgson offers trusted information on caring for a new puppy, including dog training tools and gadgets, the best treats and dog food suppliers, and new insight into positive reinforcement training.